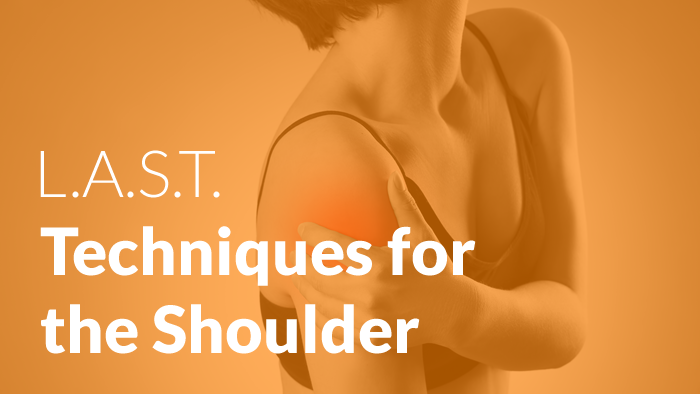 A Course designed to enhance your competence, confidence and skill level treating Shoulder complaints. In this course I instruct my most effective and L.A.S.T.ing techniques for the Shoulder; discuss the communications of the various mechanoreceptors of the ligaments/joint capsules, the influences of the ligamentomuscular reflex and the influences of these on the CNS. This course is for manual therapists wanting a simple and effective way to treat patients complaining of Shoulder issues. You’ll also learn about the history and science supporting the techniques, how I have advanced and enhanced the techniques by combining research on Ligament Pain Referral Patterns from the Prolotherapy Profession. All lessons are delivered online, so you’ll have lifetime instant access and can learn from anywhere, anytime. BONUS – Watch the FULL Treatment of me demonstrating the techniques in real time an RMT Patient with a REAL injury! You get 23 exclusive video lessons instructing strategic techniques I’ve developed over my 22yrs+ career and 15yrs+ of continual research, practice and study. Included, as always, is the full colour Course Manual, downloadable Video Lesson Transcripts, a 1-Page PDF schematic of the Neurophysiological Model for Referred Pain and an Online Exam portion for those of you requiring CEC’s. Just click the button on this page to immediately add it to your order. You’ll get immediate access to the course!